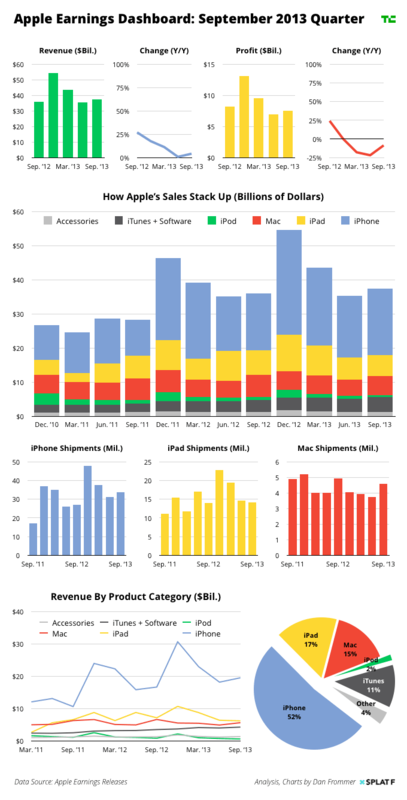 Apple released their quarterly report earlier today and they have stopped the 3 quarter-long slide. The gadget maker sold 14.1 million iPads, 33.8 million iPhones, and 4.6 million Macs in their fiscal 2013 fourth quarter. That's a slight increase over the 14 million iPads, 26.9 million iPhones, and 4.9 million Macs sold during the same period the year before. Apple posted quarterly revenue of $37.5 billion (up from $36 billion) and quarterly net profit of $7.5 billion (down from $8.2 billion) during that quarter, or a slight increase in revenue but a decrease in profit. This wasn't Apple's best quarter ever, but as you can see in the chart below Apple has managed to turn the tide. Their Q4 results are a slight improvement on the previous quarter and I expect the next quarter to be even better. 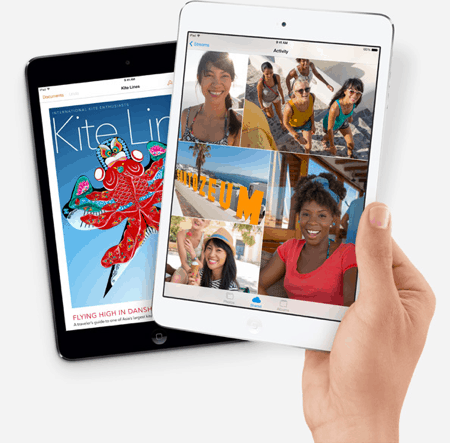 Apple's bottom line is going to be buoyed by the release of the iPad Air, iPad Mini, and both of the new iPhones. With luck next quarter Apple will report a new record high for both revenue and profit. MAC sales are down 10%. iPod sales are tiny, too. iPod sales have been tiny for a long time now. And Mac sales didn’t drop 10%; it was more like 7%. Mac sales have been declining for a while and the response to the recent changes to the OS and suite make it seem like their harmonization of MacOS and iOS isn’t helping. Good numbers for the quarter just prior to new product releases. Decreasing margins is not a good sign. It means Android is really starting to pressure Apple in the tablet market. Still better than nearly anyone else by a considerable margin.